Based in central London, West End Drinks is a premium sprints company founded in 2012 by Howard Raymond and gin lover, Alex Robson. 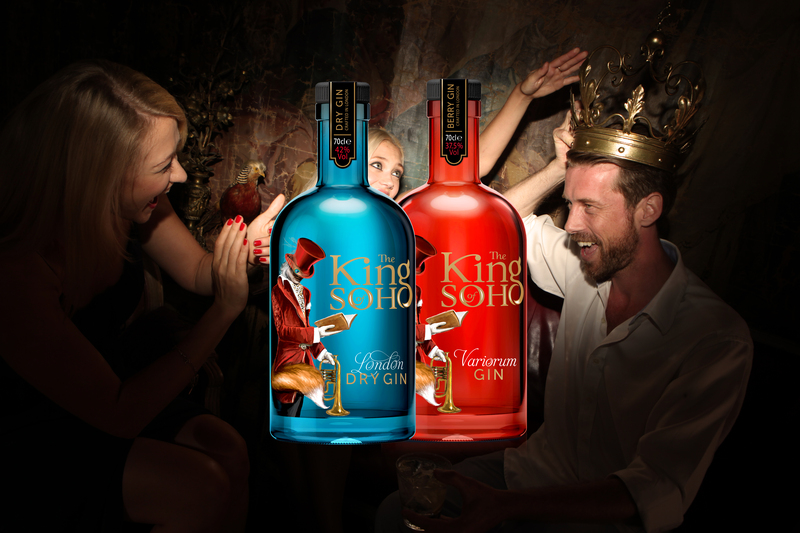 The company launched ‘The King of Soho’ Spirits Brand in October 2013 with a Super Premium London Dry Gin. In August 2018 the King of Soho Variorum Pink Gin was added to the line up. Howard is the son of Paul Raymond, the original ‘King of Soho’, a man who never settled for the ordinary and challenged the establishment; his legacy is the Soho we know and love today. The King of Soho London Dry Gin is distilled in the heart of London using traditional methods; a complex spirit crafted with not less than 12 botanicals to a unique flavour profile. This premium quality gin is bespoke, smooth and full-bodied; soft juniper, coriander, with a high presence of citrus botanicals including grapefruit peel, balanced by angelica root and cassia. The King of Soho Variorum Gin is a pink berry edition of the original King of Soho London Dry Gin. Notes of strawberry complement the classic juniper and citrus flavours of the original recipe. A smooth and colourful elixir inspired by the playful and enigmatic streets of Soho. The bold and colourful design of the bottle embodies the characteristics that make Soho unique. With these great tasting gins we celebrate the Spirit of Soho!